As you all know I’m huge fans of Peko-Peko. I’ve enjoyed both of their earlier bento creations and can’t wait to try their most recent concoction–especially since it includes fava beans, a new favorite since my recent trip to Ad Hoc. I’m thinking of serving these for family dinner this Friday night. 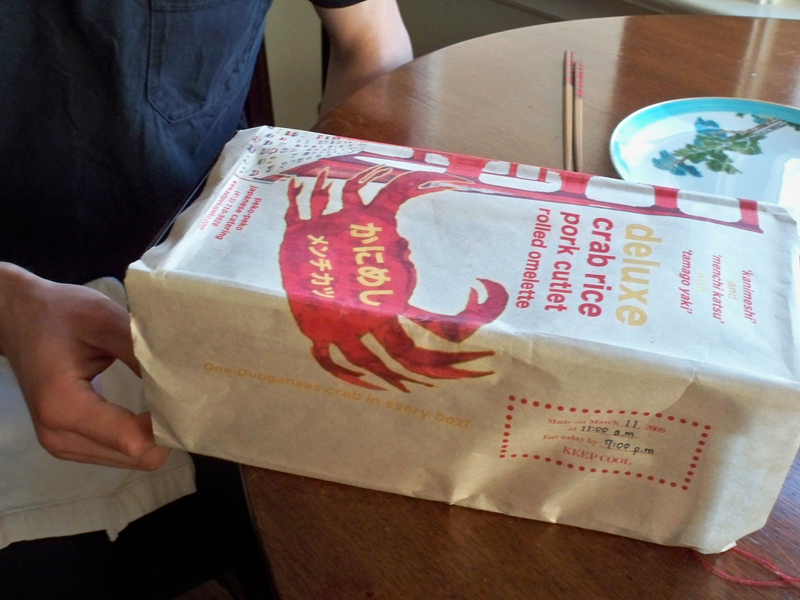 PS: I also love the design of the flyers and wrapping (see pics of “Early Spring Bento” here) who is behind this genius? I really must get around to writing that post dedicated to my love of Sunset Magazine. Tonight might not be the night. But I can never resist the urge to impulsively share exciting information so here it goes. First, Sunset Magazine has not one, but several excellent blogs available through their website. 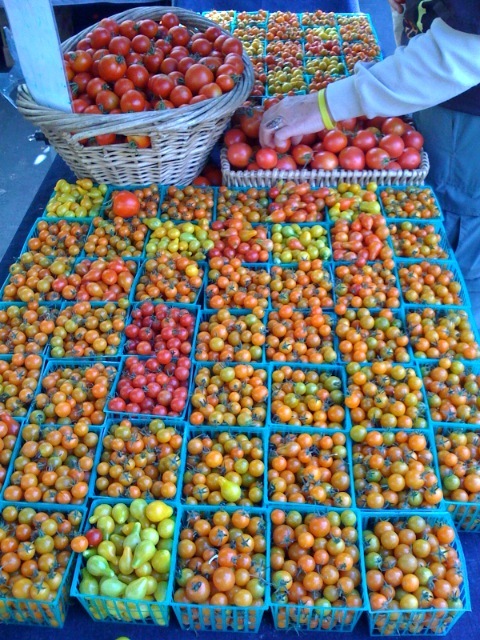 The one I’m inspired by is the uber-locavore challenge, the “One block diet” and blog. 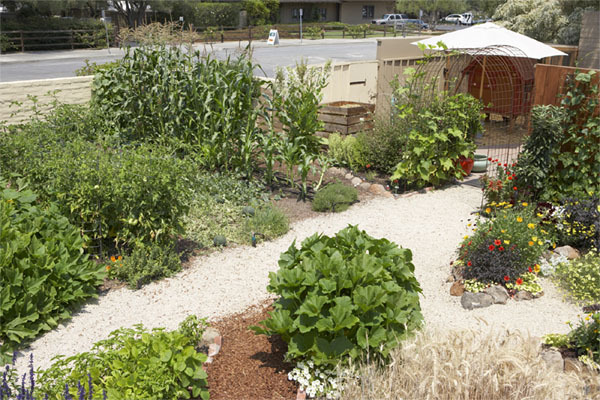 Sunset editors and contributors have dedicated themselves to eating what is grown and available within one block of Sunset’s property. When reading the “about” section, I found that a former Saveur editor, Margo True, is currently behind Sunset’s excellent food writing! Naturally. My first internship ever was at Saveur magazine in the summer of 1999–while the magazine still had its original sense of elegance and culinary veritas intact under the leadership of Dorothy Kalins, Christopher Hirsheimer, and Colman Andrews–and True herself of course. These days Saveur seems to be suffering along with the economy, crisis of print journalism, and weight (or lack thereof) of their glossy pages. But Sunset with its niche market seems to be thriving. Here’s to Sunset! Here’s to the West! Peko Peko’s Early Spring Bento arrived today in this unbelievably soothing printed paper and red string. Perfect since it was an early birthday gift from me to Rimpletide! I love the Golden Gate graphic+little cars! 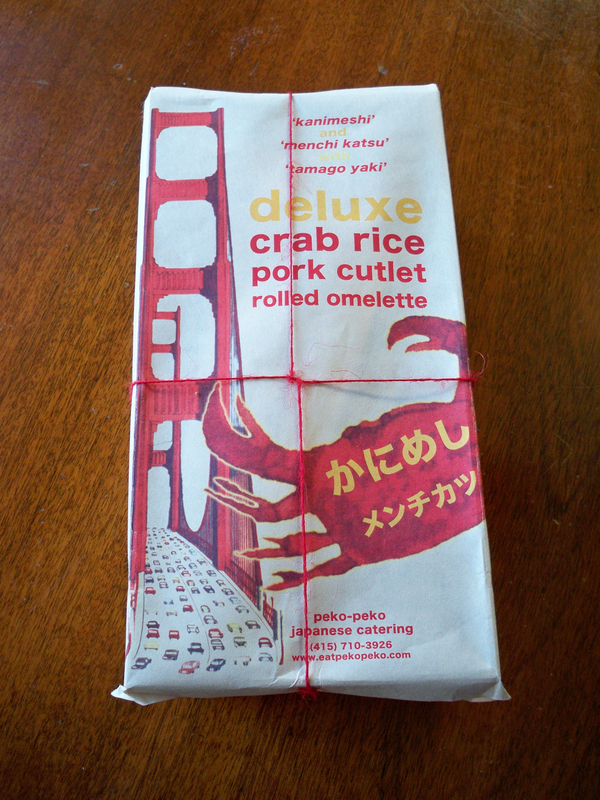 The pork cutlet and rolled omelette were amazing, but my Oprah a-ha moment was the crab and rice. Ah-ma-zing. Steamed Dungeness crab, Tamaki Gold rice, hand-made ginger pickle (ginger, sugar, umeboshi vinegar), sancho, and salt. The hand-made ginger pickle really took things to the next level. We sat, ate, and smiled. Announcement: What\’s Hot in Local Eating~Peko Peko! 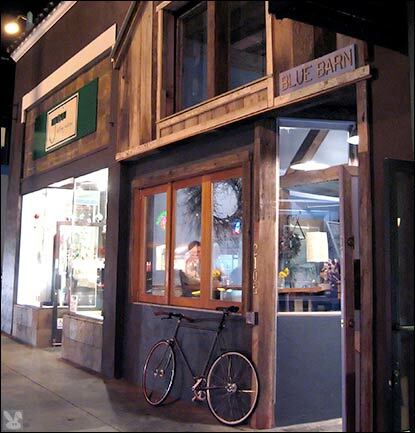 I recently attended this fabulous event at 826 Valencia, moderated by the talented and beguiling Chris Ying. How can you resist someone who dug up a mid-50\’s copy of James Beard\’s Cooking Fish and used it as his sole prop during a panel on the politics and science of food? Each of the panelists talked about why we\’re interested in food and what about it interests us now. If you, like these esteemed food journalists, are passionate about delicious morsels that meet Bonnie Azab Powell\’s critera for SOLE food (Sustainable, Organic, Local, Ethical) you\’ll LOVE Peko-Peko. The mastermind behind the affair, Sylvan Mishima Brackett, cut his teeth as assistant to Alice Waters at Chez Panisse and editing The Slow Food Guide to San Francisco and the Bay Area. 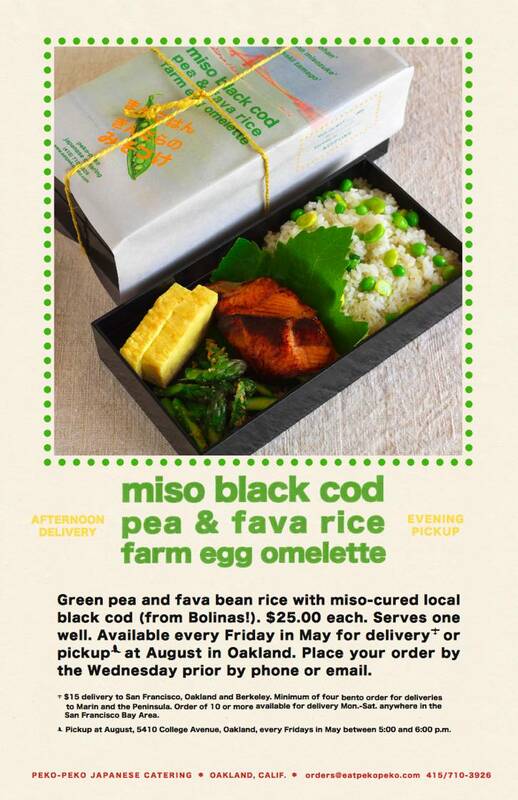 This month, Peko-Peko has created a Spring bento box available for delivery in the Bay Area. The bottom level of this two tier bento is filled with kanimeshi: fresh steamed Dungeness crab, seasoned California-grown Japanese rice, pickled ginger, and sansho pepper. The top layer includes three menchikatsu: Marin Sun pastured pork and onion cutlets and dashi maki tamago: rolled farm egg with fresh dashi. Made primarily with ingredients from around the Bay Area, it’s a taste of Tokyo by way of San Francisco. This bento serves 2-3 people and is $65. Deliveries will be made every Wednesday in March. Orders must be placed by the Monday prior to delivery. We had their osechi bento for New Year\’s and it soothed hard. In other words, open a bento box and say hello to Soothistan! Ici Ice Cream has a new website! Remember them? New soothing additions such as a forthcoming online shop (! ), details on the history and founders of Ici (let us all bow down to Maria Canales), and Ici’s pioneering efforts towards sustainability (who doesn’t love it?). I also found out that if you call Ici (510.665.6054 ) you can select the number ‘2’ to hear the ice cream flavors of the day. Soothe. The efficient way to find out if they are serving Meyer lemon without making the trip to Elmwood. 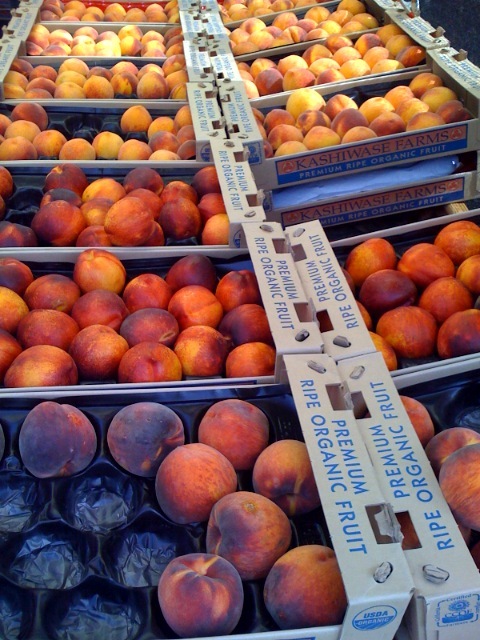 We made a trip yesterday morning to the farmers market. The harvest is upon us. 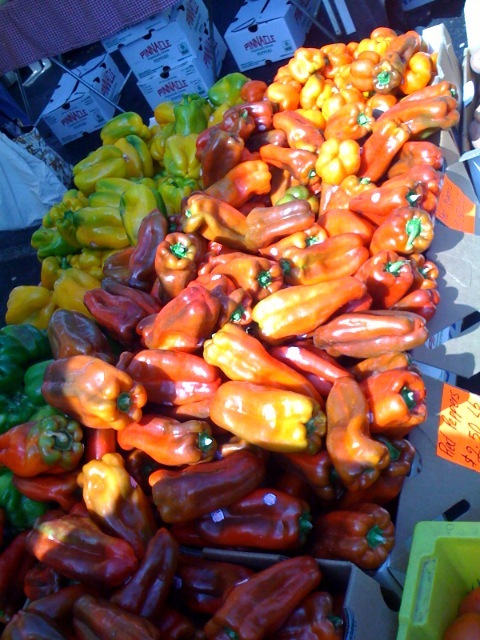 The market was truly abundant yesterday. The Phoenix Bakery has a tent there. They sell the most amazing things called “Pecan Chewies.” Insane. 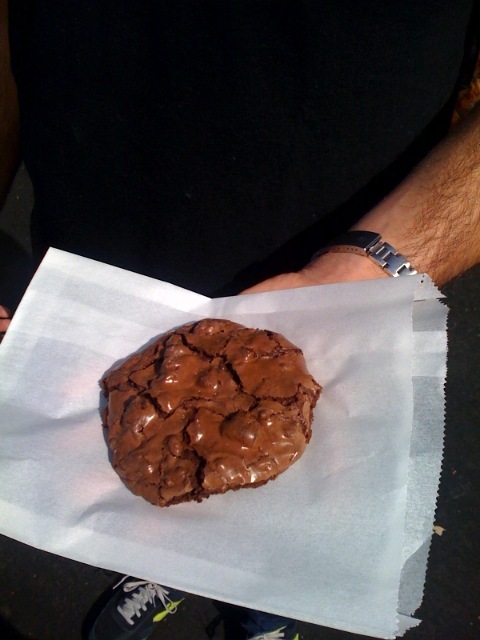 The ingredients are simply: egg whites, powdered sugar, cocoa powder, and pecans. They have the lightness of a meringue, yet are so chocolate-y and pecan-y. Yum. 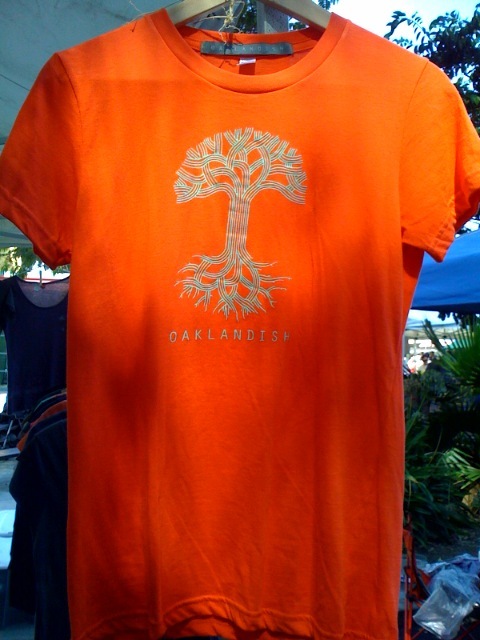 And as we were leaving, we found the inevitable “Oaklandish” t-shirt. So earnest, so Oakland.